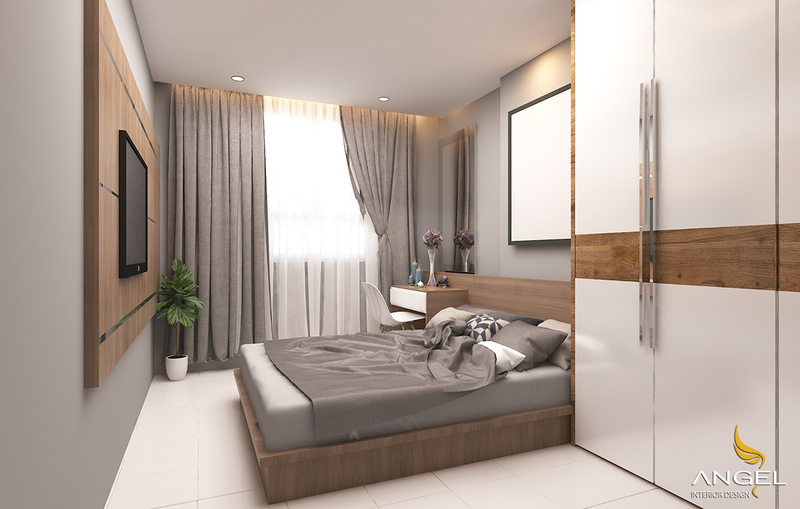 Interior design apartment Tien's City elegantly deluxe In addition to successful projects in the year. Angel Interior Design would like to introduce you a new product success. He is the owner - City Tower apartments trust. Give us the opportunity to show the best way. Living room space. 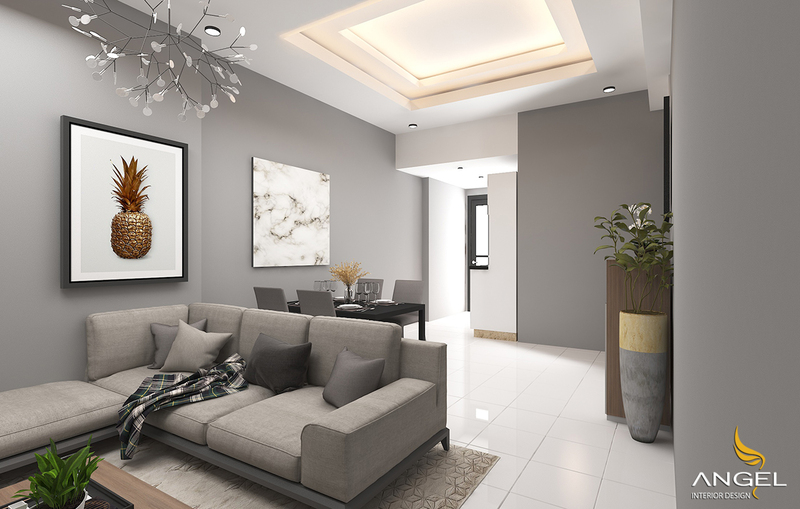 The 52.5m2 apartment is designed with 1 living room and 2 bedrooms. With the artistic mix of the interior design Angel. 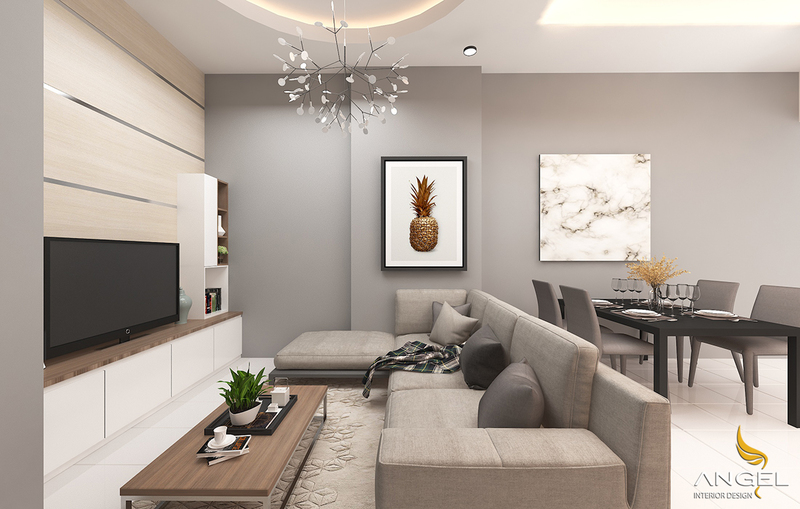 Using gray to make the main color is enough to make your home luxuriously delicate. Once combined with other colors. The apartment is beautiful, elegant when combined with the sweet cream milk. The plaster design of the living room is divided into two main parts. 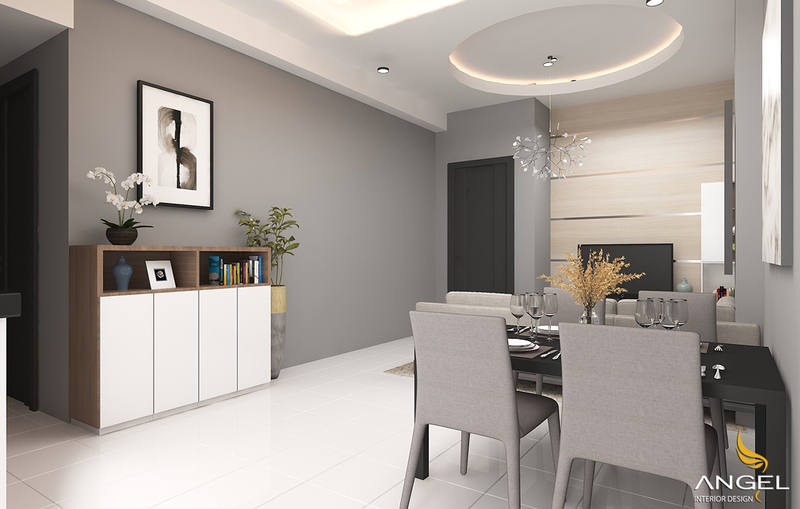 Two sections consist of a kitchen and a living room with plaster ceiling. Create two unique look and unique design. 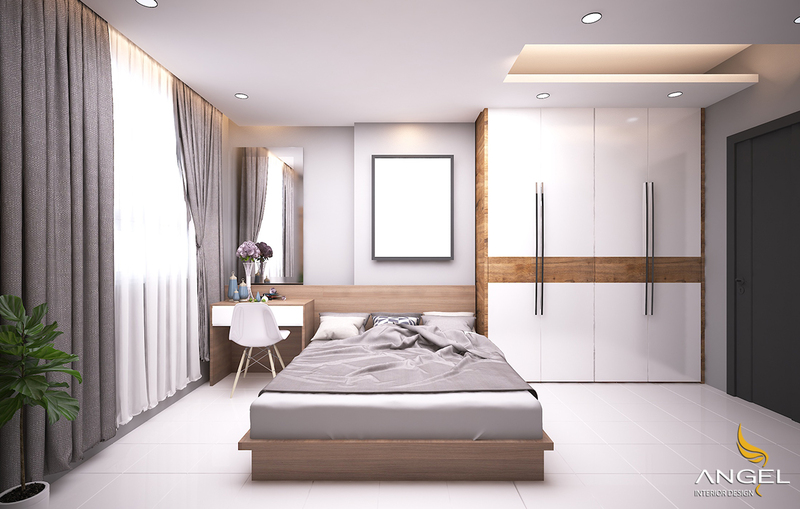 With optional white color complement to the bedroom. A light amount of light, making the bed full of light in the early hours. Wood furniture is no stranger to us. From the cabinet to the foot of the bed, the bedside dressing table is wood-clad in a modern way. Blending the curtains with the same color tone also makes the objects in the room create a highlight. 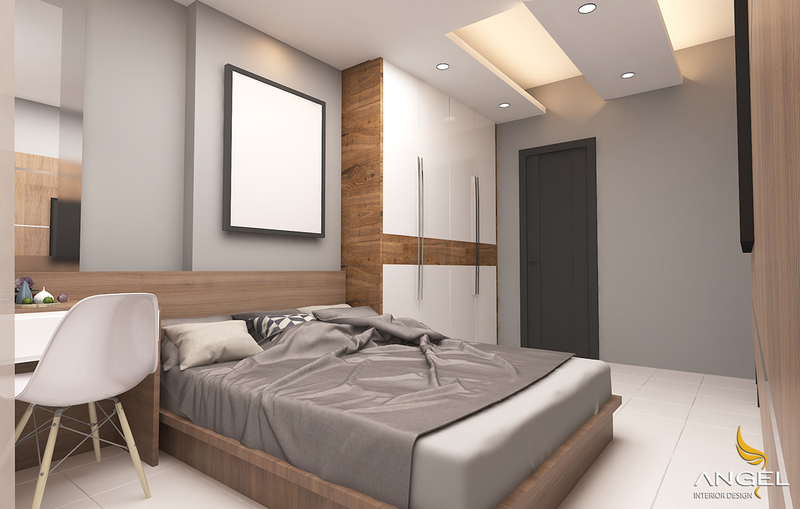 Bedrooms are always accentuated by the addition of wood-colored lines. Although the apartment is mid-range but still reach the full amenities of a luxury apartment.